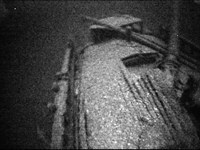 Fair Haven, New York - The Canadian schooner Royal Albert has been discovered in deep water off the southern shore of Lake Ontario near Fair Haven, NY. Shipwreck explorers, Jim Kennard and Roger Pawlowski located the shipwreck utilizing a high resolution side scan sonar system. The Royal Albert sank when its cargo of 285 tons of railroad iron shifted bursting the seams of the schooner. On Sunday evening, August 9,1868, the Canadian schooner Royal Albert departed Oswego, NY loaded with 285 tons of railroad rails and headed due west for the Welland Canal and then on to Toledo, Ohio. Underway for just a few hours and off Fair Haven the conditions of the lake were such that the heavy cargo of rails shifted causing the seams of the ship to burst. The Royal Albert quickly filled with water and sank. The crew barely had enough time to launch a yawl and escape the sinking ship. They were successful in making it to shore in the small boat and returned to Oswego the next day. The Royal Albert was built in 1858 in Oakville, Ontario by shipbuilder, John Simpson. The registration information for the ship shows a length of 104 ft. with a beam of 23 ft. and depth of 9 ft. The vessel description is given as a fore and aft schooner with two masts and a square stern. The Royal Albert had several Canadian owners in the ten years after it was built. 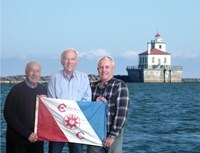 The last owner, H.C Bolland of Oswego NY, appears to have acquired the ship only a year before it was lost. The Royal Albert was sold to Mr. Bolland for $10,000 but was insured for only $7000. 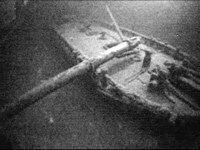 In mid-June during our continuing search for shipwrecks off the southern shore of Lake Ontario we came upon the wreck of the Royal Albert. 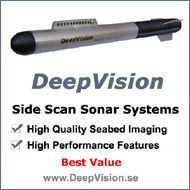 Using high resolution DeepVision side scan sonar the wreck was surveyed from several different viewpoints to determine size and shape to aid in its identification. 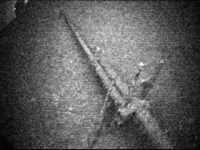 The area around the wreck site was also surveyed to determine if pieces of the ship had fallen off and were resting on the lake bottom nearby. 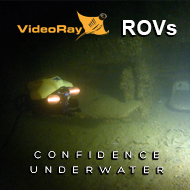 Once the side scan sonar survey was completed we had enough information from the sonar imagery to send the VideoRay Pro IV Remote Operated Vehicle (ROV) down to explore the shipwreck in detail. 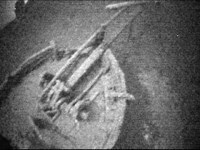 Identification of a shipwreck is typically based on several factors including size, shape, type, location, and the conditions that caused the wreck. From our database of over 600 ships wrecked in Lake Ontario we found only one schooner with two masts that sank off the Fair Haven area with the dimensions we had measured. It appears that the Royal Albert went down stern first as wreckage is observed at the stern. Over time the masts have fallen over. The forward mast is lying off the starboard side of the ship and the main mast is back off the port side. The boom of the main mast lies across the cabin roof. Some of the railroad rails can be seen in the aft hold. 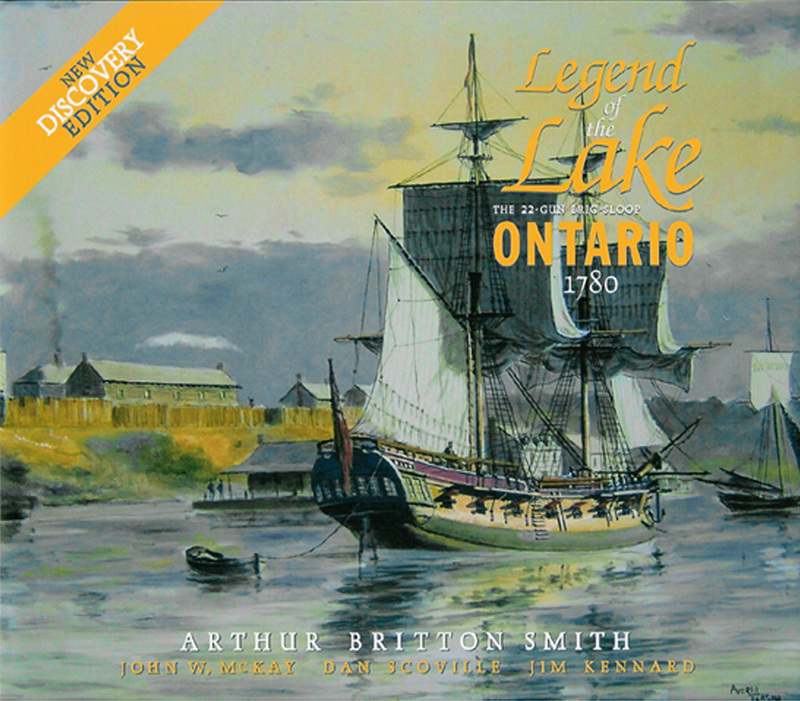 There are estimated to have been between 6000 to 8000 ships that wrecked in the Great Lakes with over 600 occurring on Lake Ontario. Many of these ships were wrecked or burned in a harbor or were driven on-shore where they were pounded to pieces. Today there are over 200 ships that still remain in the lake. In recent years our shipwreck discovery team has made several notable shipwreck discoveries off the southern shore of Lake Ontario. The lake depths often exceed several hundred feet just a few miles from the shoreline. Shipwrecks located in these depths are beyond the range of recreational divers and require expensive search and support ship equipment to find them. The schooner Royal Albert is one of these ships. These schooners were the “truckers” of a century and a half ago hauling the heavy cargos to various ports on the Great Lakes and along the St. Lawrence River. Roland ‘Chip’ Stevens is a retired architect and working artist whose watercolors, many of which have been accepted into national exhibitions, are well known in the Rochester area. A sailor for over 60 years, Stevens has a love of the sea as reflected in his seascapes. A number of his paintings of shipwrecks discovered by the team have appeared in news stories and publications. 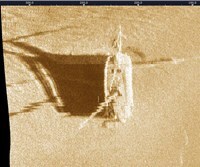 Based on the ROV video recording and side scan sonar imaging, Stevens created a watercolor painting of the schooner Royal Albert as it appears today on the bottom of Lake Ontario. 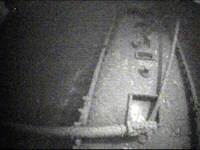 What is the approximate depth of this wreck? Looks alike a great find! The Royal Albert is in an area of the lake were the depth is approximately 400 feet. This year we are using a 25,000 lumen drop light to illuminate shipwrecks. In the past there has been too much backscatter in the video imagery when we were using the lights of the ROV.